According to the National Highway Traffic Safety Administration there were 5,687,000 vehicle collisions in the United States in 2013. 32,729 of these collisions resulted in fatalities and an additional 2,313,000 people were injured in the crashes. Accidents can be traumatic. 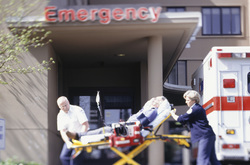 The accident may not only cause damage to the vehicle, but may also cause personal injury and financial loss. Motor vehicle litigation applies to all types of accidents such as automobiles, trucks, motorcycles and bicycles that operate on our streets and highways. Pedestrians may also be injured by motor vehicles. 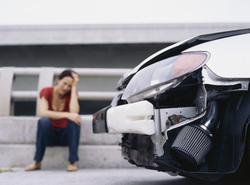 Motor vehicle litigation can extend further than the basic car accident. This type of litigation may involve liability on the part of vehicle manufacturers, distributors, retailers, and other suppliers for defects in the vehicle itself. Motor vehicle litigation may also involve an action against governmental entities for the design, maintenance, and unsafe condition of our roadways. We are dedicated to vigorously protecting the rights and interests of those who have been hurt due to the negligence or recklessness of another party. If you are involved in a motor vehicle accident, there are several important factors that require immediate consideration, making it crucial that you consult an attorney experienced with California accident cases as quickly as possible. Between medical care, insurance forms, and protecting your personal interests in any subsequent court action, having a skilled and experienced California attorney behind you can make the difference between winning and losing your case. We take immediate action by preserving evidence and starting the initial investigation as soon as possible. If you or someone you know has been injured in a car, truck, motorcycle or bicycle accident, there is a set period of time within which a lawsuit may be filed. This is called a Statute of Limitations and it is very important to file a case within the appropriate deadline. If the Statute of Limitations has expired relative to your situation, your lawsuit may be barred. All States have their own Statute of Limitations deadlines. Please consult an attorney to determine the applicable Statute of Limitations for your case. Call the Law Office of Anna Costa for a free confidential initial consultation at (510) 410-5050 or email Acosta@costalawyer.com.